It’s hard to get excited about an AR-15 end plate. But as QD attachments became increasingly popular, it was clear that the standard end plate would need to be redesigned to include a QD Mount option. 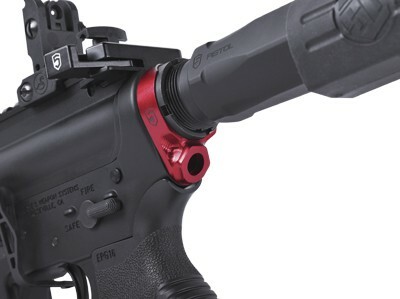 When Phase 5 Weapon Systems Inc introduced the Sloped Quick Disconnect End Plate (SQD-EP) a while back, it instantly rectified the design flaw that the first round of industry QD Mount End Plates had – users found that the location of the mount limited the rotation of the sling attachment, causing the rifle to hang at an uncomfortable angle. By angling the QD Mount out and away from the rifle, the sling attachment no longer interfered with the buffer tube. Since the QD mount is at a 30 Degree angle from the lower receiver, it allows a 360 Degree rotation for true ambidextrous use. 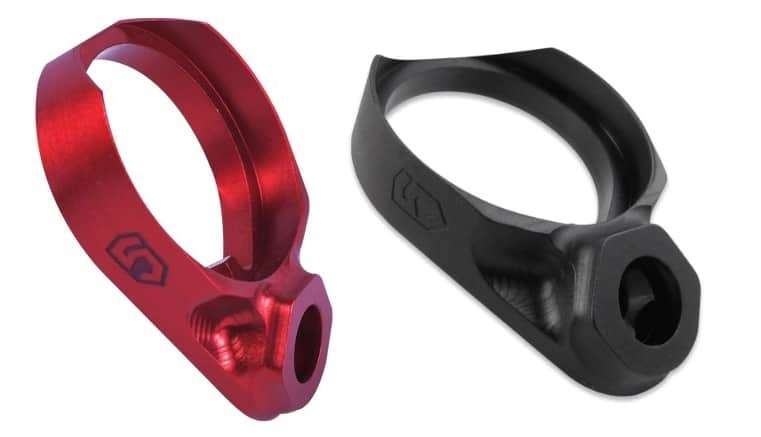 With the success of their Red Winter Trigger Guard, Phase 5 is now offering the SQD-EP with a clean Anodized Red Finish in addition to traditional black. 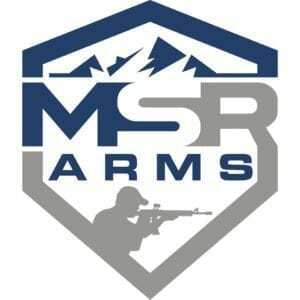 Available at a special introductory price (for a limited time) at MSRarms.com, these end plates are something to get excited about for any shooter who prefers a QD Swivel Sling! Proudly made in the USA from USA raw billet 7075-T6 aluminum which is Lighter than the standard stamped steel receiver extension end plate (0.39 oz vs 0.48 oz). Compatible with mil-spec carbine receiver extensions, commercial-spec receiver extensions, and all Phase 5 Pistol Buffer Tubes on nearly all AR15/M4/.308 AR variant lower receivers. Lightweight and sturdy 7075-T6 billet aluminum construction is about 80% stronger than 6061-T6 aluminum. Uses a standard AR15/M4 carbine Lower receiver extension castle nut (not included). Accepts all push button QD swivels and QD slings.